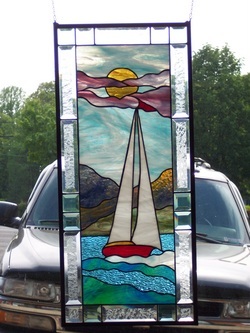 Darlene Swanson has been a fine arts instructor with Prince Georges Community College for 20 years, and now has started her own stained glass shop in Prince Frederick Maryland at 143 Central Square Drive in the Shoppes of Southern Maryland. Stained Glass, Fusible glass, and supplies are sold. Classes are taught in stained glass and painting, watercolor, acrylic and oil. Open workshops are available for students. 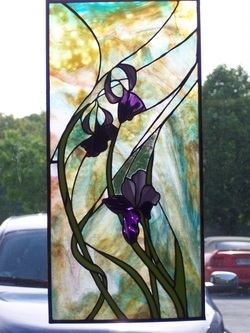 Darlene accepts private commissions in fine art, portraiture and stained glass.